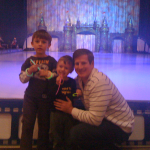 My family had a fantastic time at the Wachovia Center here in Philly last night. 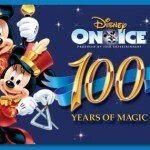 We went to see Disney on Ice: 100 Years of Magic, courtesy of Mom Central. 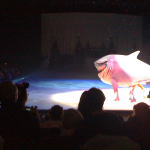 I have to say – I was really impressed with the show and we had a fun experience. 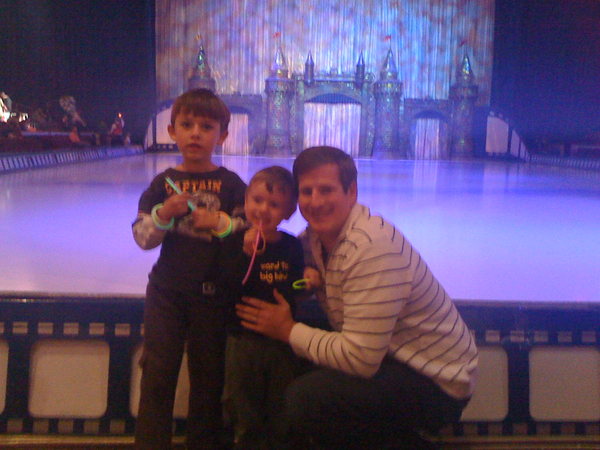 We were seated in the 6th row, which helped, and my boys loved seeing all of their favorite characters skating and acting on the ice. Mickey, Minnie and Donald were favorites of course, but they were also especially thrilled to see Buzz and Woody from A Toy Story and the Incredibles. 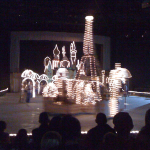 Pretty much every major Disney character was represented at some point during the two hour show – including each of the Princesses (which was probably the only lull for my kids – we don’t do princesses here since I’m in a world of two boys). 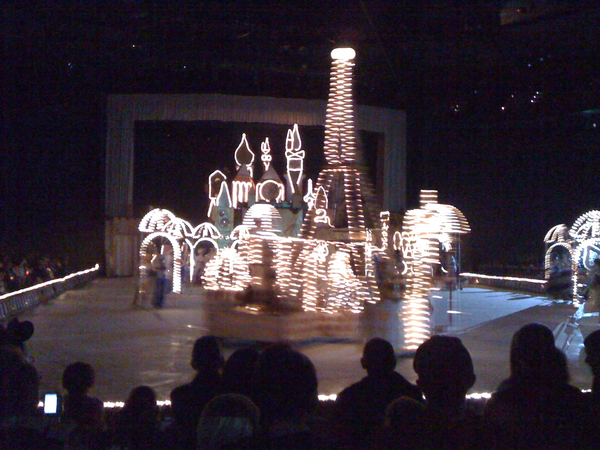 Other favorite acts included Mulan, Pinocchio (the whale was impressive!) 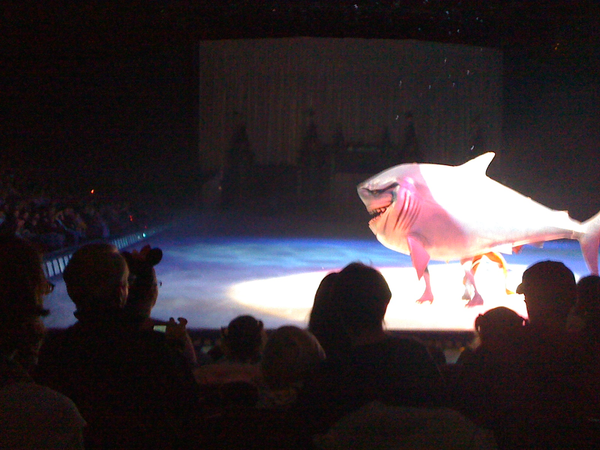 and Nemo. 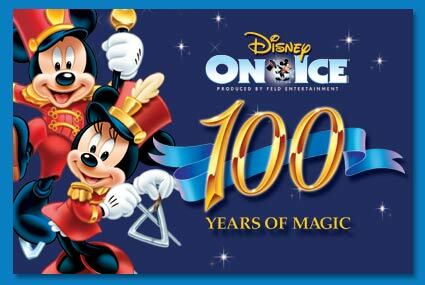 Overall, it was a wonderful experience – not something I would have normally thought to do but I’m so glad we went and I recommend anyone will young children check it out. Tip:I went to the Dollar Store earlier in the day and bought glow sticks for my kids, which I highly recommend beforehand as the souvenirs get expensive. Use coupon code MOM on www.comcasttix.com for four tickets for $44 for Monday through Friday matinee shows, and $4 off Friday night and weekend shows. At least four tickets need to be purchased for the code to be valid.